By using advanced analytics the iCVR HD camera produce and record HD images without the need to use the network, meaning bandwidth use is reduced to the absolute minimum. With the need for a central storage solution eliminated and advanced analytics that are able to learn events and increase accuracy over time, the iCVR is very simple to install and easy to use. It would seem that edge device recording is without question the way forward and Video IQ are well ahead of their competitors. Check out the iCVR camera and on board recording solutions on the Video IQ website….well worth a look. 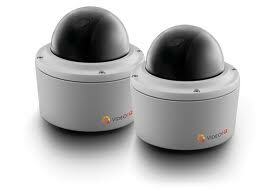 HD cameras - can they be the same? This entry was posted on Wednesday, February 9th, 2011 at 05:00	and is filed under IP CCTV. You can follow any responses to this entry through the RSS 2.0 feed. Both comments and pings are currently closed.